Tours in winter? Enjoy a guided tour on the famous Mt. 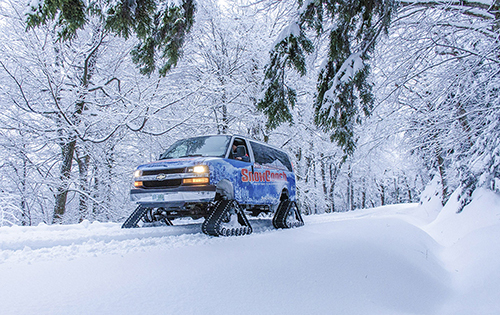 Washington SnowCoach to an extreme world at treeline on Mount Washington! SnowCoach Tours will not operate this day due to the race traffic on the Auto Road. Challenge yourself with North America’s Toughest 10K, climbing 2,200 vertical feet over the final 6km!